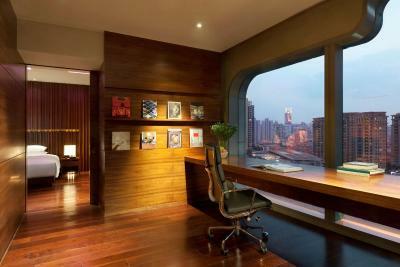 Lock in a great price for Andaz Xintiandi Shanghai-a concept by Hyatt – rated 8.8 by recent guests! Great location, close to subway station. Room was spacious and modern. Nice view of Shanghai. Helpful staff. Complimentary coffee, espresso, fruit, and pastries in lobby. Late check out available. The location was fantastic! Great view of Xintiandi from the room. We loved the city views from the corner suite and enjoyed our bathroom facilities, particularly the toto toilet! The staff was always available to help. The gym was adequate. Andaz Hotel is in a great location. We really enjoyed our stay. Great staff. Happy and super helpful.. I will book again. I chose this hotel to be nearby the great restaurants and entertainment in Xintiande (new heavenly land) for a dinner date with many friends, eating German food. After travel in the interior with soup that has insects and worms at the bottom to add flavor, snake, turtle, carp, sea life with tentacles and so much rice and noodles, I am ready for some Western food again. So this is a convenient location as I prepare to go back home. This part of Shanghai is like being in Western Europe (Paris, London, Lisbon, Barcelona) or North America (New York, Toronto, Chicago, Vancouver, San Francisco)--very high tech and global. What a great hotel! We had so much fun! Decor was outstanding. Room was incredible. Staff were super helpful and friendly. We were upgraded to awesome room with nice view. Tnx ANDAZ team for another great experience in your hotels. Clean and tasteful decor throughout. Stylish and sleek. Great location. Staff great. Andaz Xintiandi Shanghai-a concept by Hyatt is a luxurious boutique hotel located in the heart of Xintiandi Area, a 1-minute walk from Middle Huaihai Road. A unique, futuristic design sets this hotel apart from the rest. An indoor pool and a fitness center are available. Free Wi-Fi is provided throughout the property. 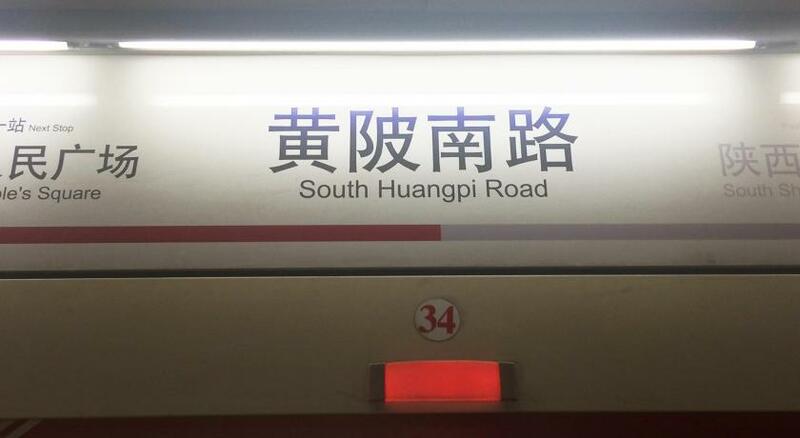 Steps from Xintiandi Subway Station (line 10) and South Huangpi Road Subway Station (line 1), Andaz Xintiandi Shanghai-a concept by Hyatt is a 2-minute walk from Huaihai Park and an 8-minute drive from People’s Square and Fuxing Park. 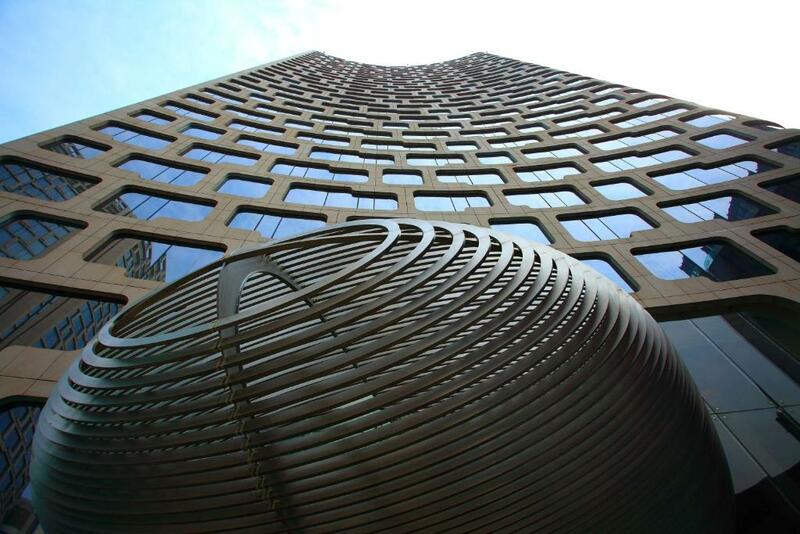 The Bund is a 10-minute drive away. Offering city views, all rooms come with an iPod docking station, an iPad based guestroom solution, an in-room mini-bar and ironing facilities. Local phone calls, nonalcoholic beverages, snacks, welcome drink and all-day coffee, tea, soft drinks at the Lounge are available. The ample bathrooms feature both bath and shower facilities. Guests can relaxing with soothing spa treatments, laze in the sauna, or make use of the meeting rooms and business center. Added conveniences include free Wi-Fi in all areas, car rentals and a tour desk. Kitchen Studios offers Andaz signature homemade breakfast. XUAN Bar provides handcraft cocktails, modern Chinese snacks and tasty continental delicacies. 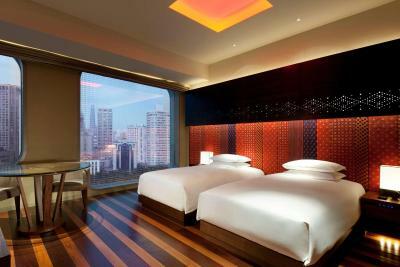 When would you like to stay at Andaz Xintiandi Shanghai-a concept by Hyatt? This double room has a seating area, bathrobes and air conditioning. Offering views of Xintiandi bar and entertainment area. The stylish and spacious suite is located on the 26th floor. 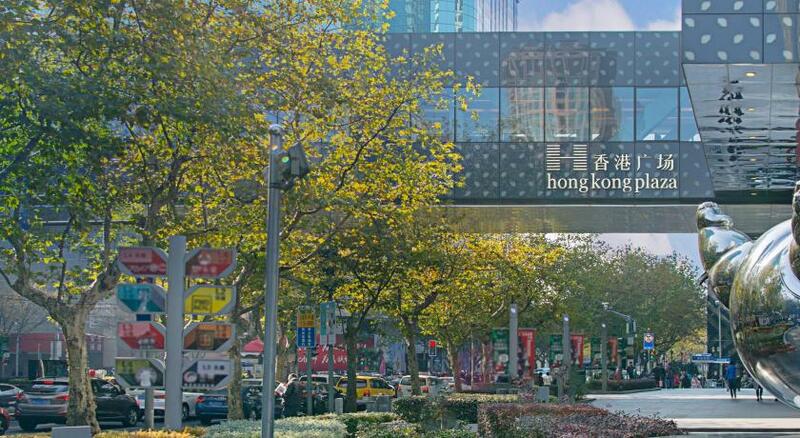 It offers a King-sized bed and views of Xintiandi entertainment area or Huaihai Road shopping street. 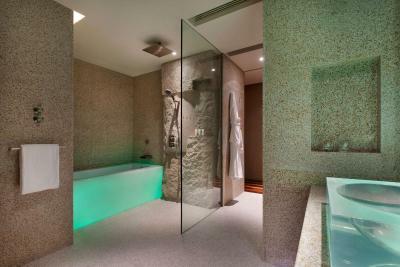 The bathroom includes floor heating, a separate electronic toilet and a Typhoon shower. It comes with an iPod docking station, unlimited local calls, daily newspaper and a mini-bar. Offering city views, the room comes with an iPod docking station, DigiValet, a mini-bar and ironing facilities. Offers free soft drinks and snacks in mini-bar. Room is 87 square yards. Offering city views, the suite comes with an iPod docking station, DigiValet, a mini-bar and ironing facilities. Offers free soft drinks and snacks in mini-bar. Features a sofa, a coffee machine and fitness equipment. Offering city views, the room comes with an iPod docking station, a mini-bar and ironing facilities. Offers free soft drinks and snacks in mini-bar. Room is 48 square yards. Offering city views, the room comes with an iPod docking station, DigiValet, a mini-bar and ironing facilities. Offers free soft drinks and snacks in mini-bar. Room is 41 square yards. The stylish 2-story suite is located on the 26th floor. It offers a King-sized bed and views of Xintiandi entertainment area or Huaihai Road shopping street. The bathroom includes floor heating, a separate electronic toilet and a Typhoon shower. It comes with an iPod docking station, unlimited local calls, daily newspaper and a mini-bar. House Rules Andaz Xintiandi Shanghai-a concept by Hyatt takes special requests – add in the next step! One older child or adult is charged CNY 230 per person per night when using existing beds. Andaz Xintiandi Shanghai-a concept by Hyatt accepts these cards and reserves the right to temporarily hold an amount prior to arrival. The room was too techy with the lights and shades on ipad mini that didn't work all the time. Some lights wouldn't come on and some lights wouldn't go off. Had staff come to fix twice. Location was great! The breakfast was amazing. Love the variety and the local chinese eats with western basics. The hotel charged me a rate different than what I booked here through booking.com !!! The room is cozy. I love the idea of coffee and free drink in lobby. The location is perfect. I would like to thank you The dutie manager Eve for here welcome and greeting. 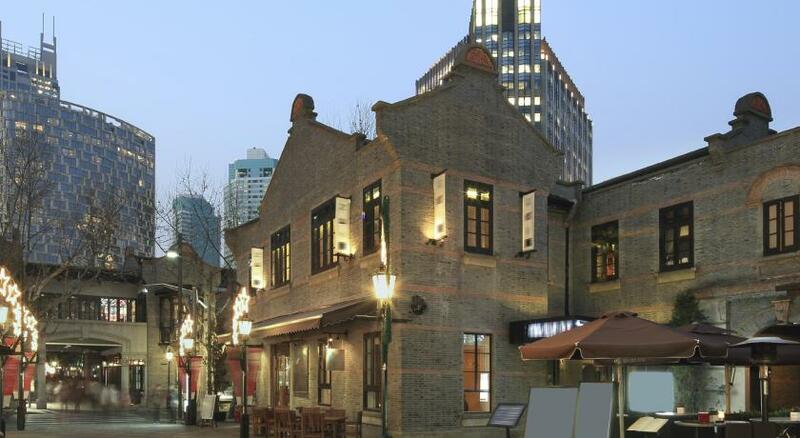 Very good location, right in the Xintiandi Area, loads good restaurants around, Rooms are clean, stuffs are friendly. The breakfast buffet was a bit disappointing for the standard of the hotel. I would recommend not to include breakfast in your package, but go outside as there are many nice places in a beautiful setting of Xintiandi. Staff was very pleasant and spoke English relatively well. The rooms were fairly large compared to other hotels in the same category. There was a happy hour every day from 6:00 - 8:00 pm, which was very pleasant if you like wine or beer. Also, they were really nice re a late check-out. the checkin time is obviously too late compare to many other hotels here in China. Swimming pool is so so. Breakfast average compared to similar level hotels. Our toilet malfunctioned while we were there (it flushed every two minutes) and it kept us awake half the night. Once turned off, the flush function didn't work at all. In addition, the free beverages in the fridge were not very good. Other Andazes have a better selection. The food in the bar was awful - we ordered Szechuan chicken and basically got a couple of pieces of KFC fried with a few chilis. It was clear that the food had not been prepared in the proper Szechuan way. The bed was great and the location in Xintiandi was very convenient. The free happy hour was a nice touch and they were generous with the drinks.